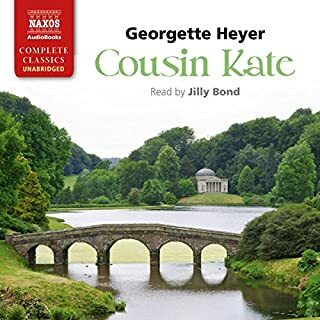 Locals claim it is haunted and refuse to put a single toe past the front door, but to siblings Peter, Celia, and Margaret, the Priory is nothing more than a rundown estate inherited from their late uncle, and the perfect setting for a much-needed holiday. But when a murder victim is discovered in the drafty Priory halls, the once unconcerned trio begins to fear that the ghostly rumours are true and they are not alone after all! With a killer on the loose, will they find themselves the next victims of a supernatural predator, or will they uncover a far more corporeal culprit? What didn’t you like about Ulli Birvé’s performance? Terrible English accent - all over the place! This reader's style is hopelessly distracting, making it almost impossible to concentrate on the story. If you could sum up Footsteps in the Dark in three words, what would they be? 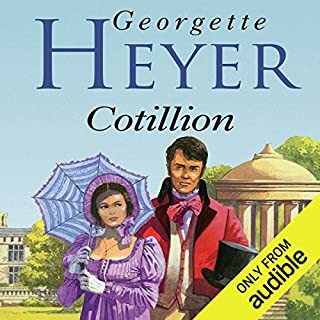 The narration is good but sometimes slightly off key as you can occasionally hear an Aussie accent in there and it can sound a bit strained and ponderous. Mostly good though. 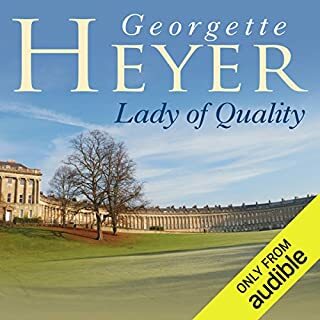 Enjoyably tongue in cheek mystery from Georgette Heyer (dare I hope her other mysteries may eventually be released? 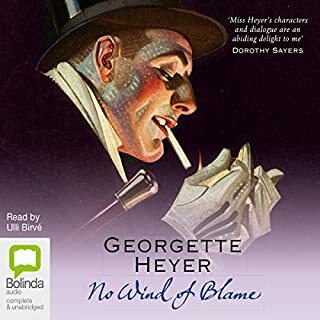 ), mildly spoiled by poor narration - a faint Australian twang, and a scattering of mispronunciations (so far we've had host-ellery instead of hostelry, and deh-sultry instead of desultory. What did you like best about Footsteps in the Dark? What did you like least? What other book might you compare Footsteps in the Dark to, and why? great story, spellbound, but guess the end, which didn't spoil a good listen. Well read. 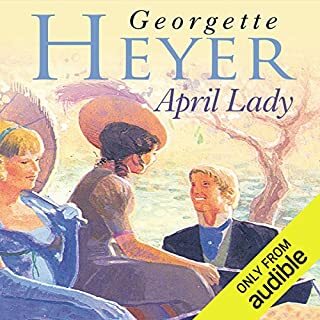 This is the first Georgette Heyer detective I have read or listened to. I thought the story a little slow but as it progressed I had picked up on the humour and the characters and was keen for the final unveiling. I really struggled with the narrator though. 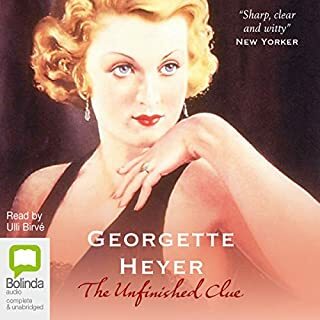 I was delighted to find that Georgette Heyer had written so many detective books after exhausting her historic novels on Audible but am reluctant to purchase another because of the narrator as it is the same for the remaining audio books. I really enjoyed this story but found the narrator very strange. 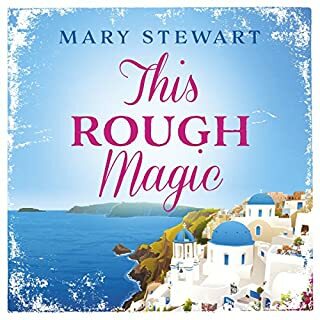 Thinking that maybe I was being overly fussy I had a look at other reviews of this audiobook and it turns out I'm not the only one. 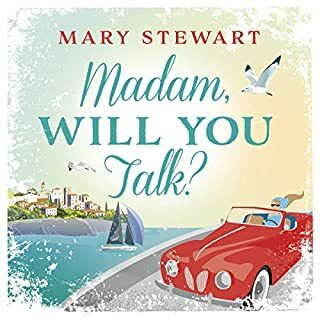 The narrator's attempts to disguise her Australian accent with an RP one made some passages quite stilted and her native vowels shine through anyway. Her pronunciation of some English words is very strange and her pronunciation of French words is wrong and inconsistent. 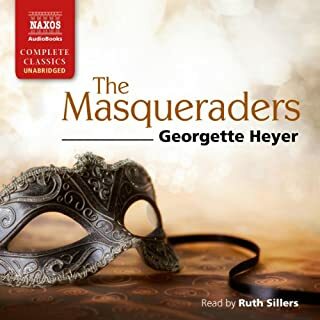 What a shame since this is a great Georgette Heyer mystery and it seems the same narrator has been chosen for the others too. 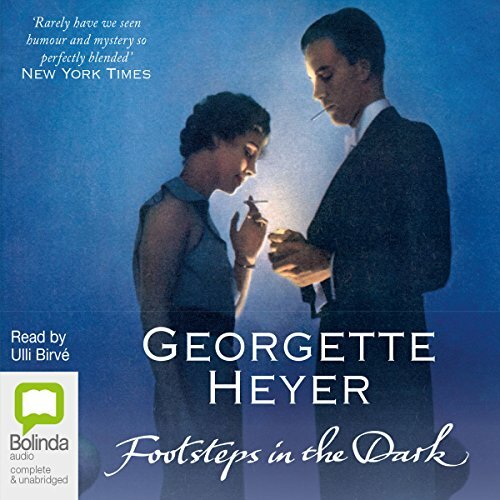 Where does Footsteps in the Dark rank among all the audiobooks you’ve listened to so far? Not easy to answer this one. I tend to rate books as to whether they go on the play again shelf. This one definitely rates that distinction. I think, Charles. He seemed to have a handle on the situation and then lost the plot. Have you listened to any of Ulli Birvé’s other performances? How does this one compare? No - I took time to listen as I had waited for this title for a long time. The voice did not gel at first but it was not unpleasant. As mentioned, it rates a second playing at a later date. It did raise a chuckle in parts as it was so predictable. To those of you (and you're mostly UK) who found the narrator irritating, I can only say that I'd like to see you do a better job. I loved this story and found that the narration was part of that magic. 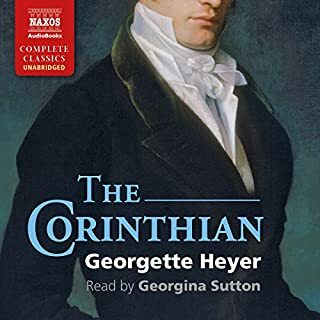 It was one I'd missed during my Heyer book days and I was delighted to find it. 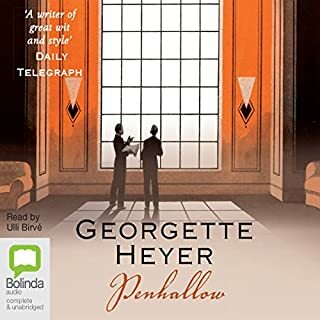 Georgette Heyer was fond of adding romance to her mysteries and this is no exception. Yes, there are a few mispronounciations but few of us are perfect and dialects vary (example: the American pronounciation of the letter Z and the English one). It happens. I expect I'm one of the few who gave this book 5 stars across the board but then my tastes probably vary from most. And yes, my descent IS English. The story was incredibly fun with ancient houses, secret passages, and interesting characters. Ulli Birve did a fine job with the narration. 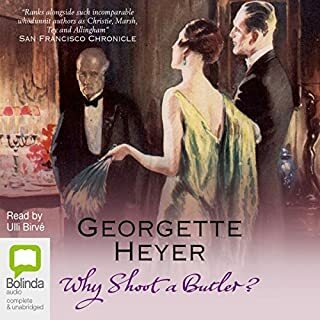 After I listened to Why Shoot a Butler, I was reluctant to listen to Ulli Birve narrarate another Georgette Heyer novel. 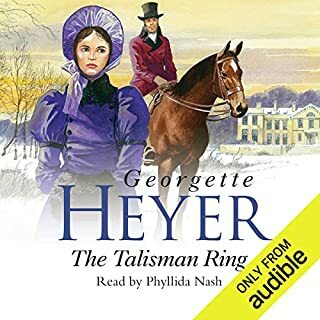 But the last two novels I have listened to with Birve as narrator have been very good. Unlike some other reviewers, I think the narrator did a very fine job. I enjoyed her reading, characterizations, and she has a lovely voice. 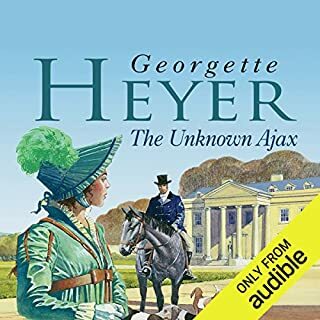 Having read the book already, I knew the plot, but nevertheless I was kept engaged by the wonderful dialogue.Thank goodness Heyer's mysteries are being made available in unabridged audiobooks! 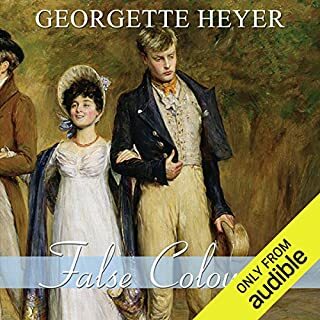 I understand now why G. Heyer is better known for her romances. the story waas draggy and not very mysterious. so many silly and unbelievable mistakes. perhaps i am judging it frm 2018 eyes but i cant help but think agatha christie novels were far superior in plot to these. narrator was ok. clear though at times a bit bland and monotone. I’m not familiar with this author. If this book is typical of her writing I won’t be listening to or reading more. Plot is formulaic, characters absolutely colorless and stereotypic. I admit that I’ve only listened to a couple of hours, but I just can’t go on. To make matters worse, the performance is stultifying. Emphasis is misplaced, characters are not well-differentiated (often can’t even tell if it’s male or female, much less one male from another) and to top it all off, she speaks....so......slow...ly!!! I guess there may be reasons why this prolific author is popular, but none of them are in evidence on this recording. Very disappointing. The narrator certainly did this quintessentially British mystery justice, despite the faint Aussie accent I detected. I really enjoyed how she gave each character their own vocal quirks, even the men. A fun way to while away the hours on the road. Put speed on 1.10 for a better listen! Very interesting story! Narrator is too slow but can be made tolerable by setting the speed at 1.10. Cute story. Too bad a better narrator cannot be found. One just has to remember that what sounds like a girl is supposed to be a man. 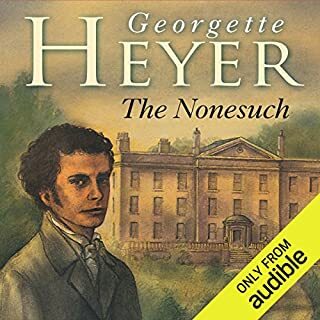 I mostly listen to Audible books while driving, and this one was mostly IN-audible. Ulli Birvé seemed like a reasonably good performer, but there was simply no setting where you could make out more than about half of what she was saying. Very frustrating. The story was engaging and the characters well done. I enjoyed every minute of the story. I read the story in one sitting and didn't realize what time it was until I was finished and the clock said 4:30. 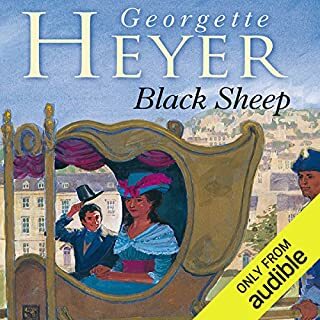 I love Georgette Heyer's mystery stories, and this one wasn't a disappointment. But the narrator sounds like she is going to fall asleep at any moment: slow, if not hesitant, with some quite unnatural pauses. Not bad enough to ruin a story, but feels strange. 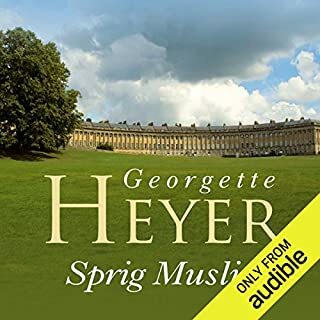 Despite that, the book is worth reading/listening if you like a good British mystery.